Throughout an NHL season, every team’s depth is tested. The Bruins have been no exception as injuries have piled up. As a result, highly touted prospects such as Jeremy Lauzon, Trent Frederic, Jakob Forsbacka- Karlsoon, and Zach Senyshn got their first taste of NHL action. While the injuries were unfortunate, it has given the Bruins a preview of the future. Although many of these prospects had high expectations, their impact at the NHL level varied. Not every one of these players excelled, however, a few have proved that they are ready to take on key roles next season. Although Kuhlman has only appeared in 11 NHL games, he has made the most of his opportunities. The young winger has been smart with the puck while playing at a high pace. His defense has been good, which is key in the Bruins system. Even though his offensive skills are not above average, the Bruins believe he can still improve. Unlike Karlsson and Frederic, he has not seemed overwhelmed at the NHL level and fit well on the second line. As injuries and inconsistency forced the Bruins to mix their lines, Kuhlman has excelled whenever given a chance. In eleven games he has been a plus-five on even strength and averaged 12:09 ice time with a Corsi rating of 55.9. Those are pretty good numbers for a rookie and in particular, one who’s NHL debut came faster than expected. Regardless of what happens in the playoffs, Kuhlman has put himself in a good position to earn a larger role next season as at times he has sparked the offense. Before the season began, Connor Clifton was not on many Bruins fans radar. Like Kuhlman, he was not expected to see any playing time at the NHL level. That soon changed after the Bruins blueline was hit with a never-ending injury bug. As a result, Clifton got his chance and has earned big minutes. Furthermore, In nineteen games the New Jersey native has been a physical presence. During his brief NHL career, Clifton has recorded forty hits and blocked thirteen shots. He has earned Bruce Cassidy’s trust as he is averaging 17:42 minutes a game. Unlike other rookies, he has been smart with the puck and played great positional defense. During Clifton’s brief NHL career, the Quinnipiac product has looked at home while keeping things simple. 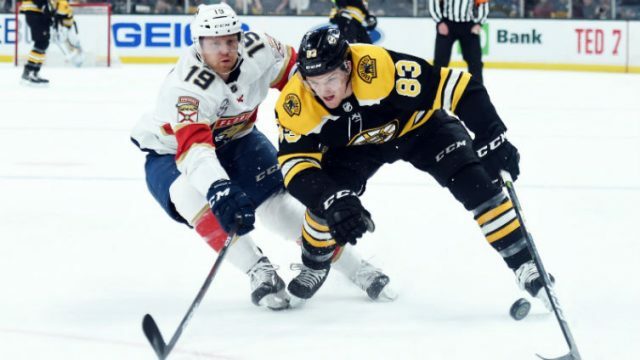 Along with Lauzon and Vaakanainen, Clifton has proved that the Bruins have a few Defenseman ready for bigger roles in Providence. Just like the other two on this list, Lauzon’s NHL debut came earlier than projected. In his first two NHL stints, however, he appeared up to the challenge. In sixteen games for the Bruins, Lauzon had one goal and a rating of minus-1. While those numbers do not jump off the page, they also do not reflect the impact he has had. Additionally, Lauzon has quietly and solidly filled in whenever the Bruins have needed him. When pressed into regular duty at the NHL level he has looked confident, and there has been very little not to like. Although he still has to improve in some areas, Lauzon has shown good instincts and done well on the penalty kill. On a crowded blue line, expect Lauzon to see more regular playing time next season. With the playoffs set to begin the role of these three remains unclear for next season. While Clifton and Kuhlman are on the playoff roster, their playing time will vary as the Bruins get back to full strength. However, they will get a chance at the beginning of the first round to make their mark. Although their future may be unknown, these three have proven to be solid players, ready for whatever role the Bruins have needed them in.